Games under development at MSG now on GMT's P-500 list. Over the past several months four games that have seen heavy development activity at Metro Seattle Gamers have now reached the P-500 list for GMT Games. The Seven Years War: Frederick's Gamble. In adapting GMT’s multi-award-winning The Napoleonic Wars game system by Mark McLaughlin, Designer Greg Ticer, aided by Developer Fred Schachter, create a furiously paced, card-driven, and battle/siege-intensive strategic/operational game which can be concluded by two, three, or four experienced players in an evening or an afternoon. Players represent the Coalition of Britain and Prussia or their nemesis, the Imperial Camp of Austria (with its Holy Roman Empire Pact Ally) and France (with its powerful Russian Pact Ally). The four main Powers never change Camps. Neutral Sweden and Denmark wait to possibly be swayed into one of the antagonist’s fold. Britain and France not only contend against each other on the continent, but upon the game’s colonial mini-maps and through an abstract naval war. MSG's lead playtester for this game is Stephen Graham. Veteran game designer and developer Fred Shachter is a frequent attendee to these sessions. Frequent MSG attendee Fred Schacter is the developer of this game. Illusions of Glory The Great War on the Eastern Front is the latest Card Driven Game to simulate the Great War in Europe. First came the award-winning legendary Paths of Glory by Ted Raicer, which simulates the entire war in Europe and the Middle East which is now a convention favorite. It was followed by the well-received Pursuit of Glory, designed by Brad and Brian Stock, which focuses on the war in the Near East. Illusions of Glory takes this proven game system to a new and exciting level by applying its focus to the Eastern Front. The MSG playtest lead for this game is Luther Harris. Fred Schacter is the developer. Metro Seattle Gamers will be closed from August 5th to 6 pm August 10th for the Dragonflight Annual Convention, which will be held Friday, August 7 through Sunday, August 9th at the Bellevue Hilton Hotel, Bellevue, Washington. We hope to see you at the convention! Metro Seattle Gamers' Annual Membership Meeting is coming up. Once a year, the club membership holds their annual meeting to elect officers for the upcoming year and to discuss various matters before the membership. This year's annual meeting is scheduled for 10:30 am, Saturday, September 27th. All active members of Metro Seattle Gamers are encouraged to participate in this meeting. While others may attend this meeting, the club membership reserves the right to exclude non-club members from this meeting. During this meeting the club will be closed to other activities. As a reminder this meeting is for the members of MSG, not the members of Dragonflight. Dragonflight's membership meeting is generally held on the first day of the Dragonflihgt annual convention. 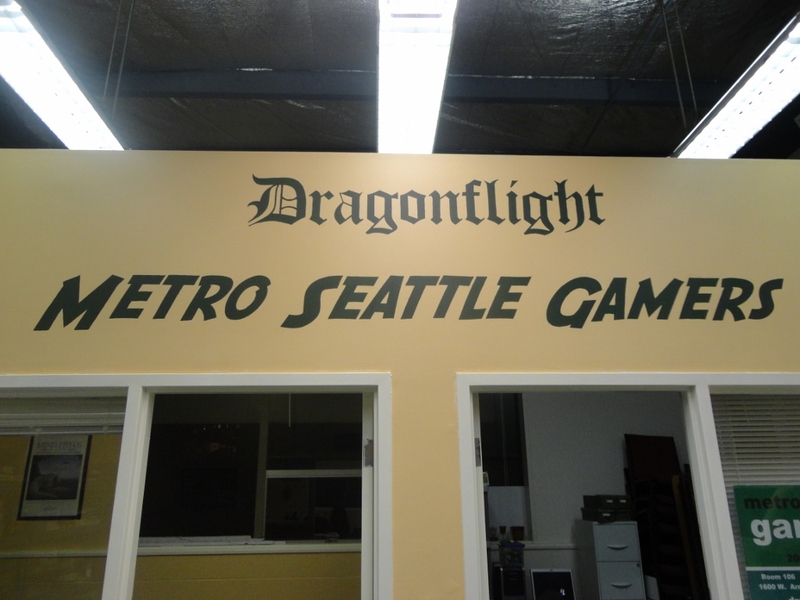 Metro Seattle Gamers operates autonomously under the supervision of Dragonflight. All decisions by the MSG membership and officers are subject to the final discretion of Dragonfllight. Metro Seattle Gamers new website has gone live! The Yahoo! Group, Dragonflight-MSG, will continue to operate as before and it will serve as the public email discussion group for the club; for the time being we will also maintain a duplicate event calendar in this group. Metro Seattle Gamers has plans to maintain its presence on other services in the near future; we will announce them when they are set up. NOTE: This new system covers Metro Seattle Gamers only, not the Dragonflight Annual Convention nor the Dragonflight parent organization; links for these other functions can be found on the new MSG website or at the next hyperlink below. Metro Seattle Gamers' new website is one step closer to going live! This new website will become our primary communications point to the public. This site provides a number of advantages for our members. 1) A functional website for the club that doesn't have to be managed by a web programmer. 2) It allows our members to set up their own user profiles on this website. 3) A central public event schedule that is not hidden by Yahoo! Groups current policy. 4) Members can make payment and adjust their membership status from this website. 5) As we get used to using the new event system we can layer in daily visitor registrations there as well. There are more options with this system that will be brought up to our membership in the near future, but for now we are attempting to duplicate club procedures rather than build new ones. 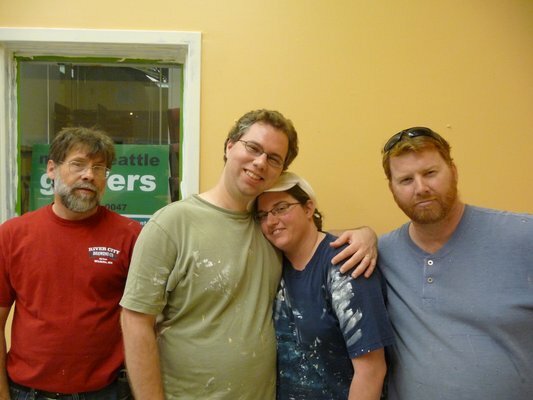 Metro Seattle Gamers' space has been repainted, reorganized, and (a little bit) remodeled! This is somewhat older news that happened last fall but it bears repeating. 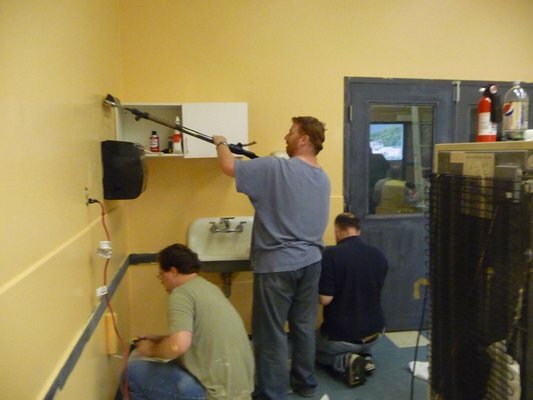 Our club members, and some of their families, pitched in to repaint and reorganize the club's physical space. The space in the main gaming area has been reorganized with all game storage now taking place against one wall. 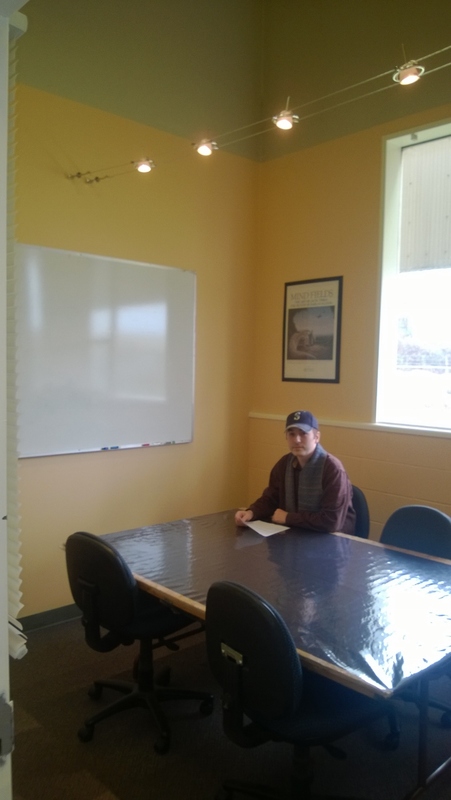 The whiteboards have been moved to more useful locations and a new suspended lighting system has been put into the rear gaming room. That room now provides a more pleasant and private gaming experience. This contribution was a spontaneous contribution: many of our members contributed in their time to make this happen. It was a wonderful morale boost to boot. We thank all of the members who pitched in to improve our club. We also extend a special thanks to Erin Marshall, who inspired and contributed much labor to this effort. Erin also painted the sign shown above. Below is a shot of the rear gaming room.